In this session we will shape your dream idea into a pitch for film or TV and provide continued support connecting your project to the industry. 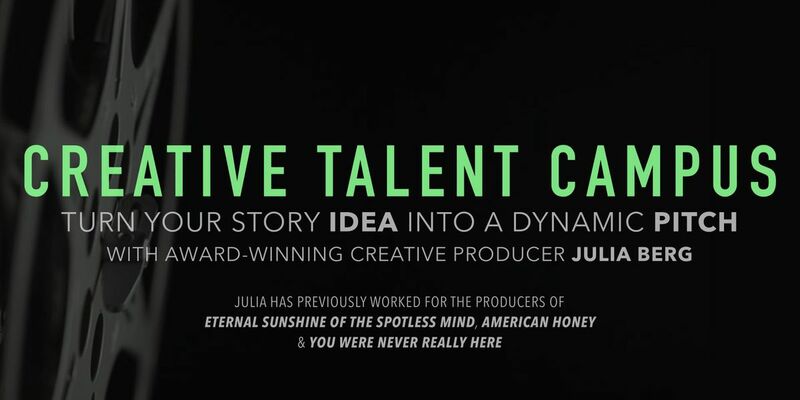 Julia Berg (originally from Melbourne) directly puts your project in the hands of financiers/producers/agents. To date - these introductions have connected participants to Oscar nominated screenwriters, Emmy winning production companies and BFI Hubs around the UK. We will move within a fast time frame (over two sessions) to ensure a pace and no more procrastination.Everyone will sign an NDA – copyright belongs to the owner of the idea. The room and ideas shared and discussed are confidential. Bring ambition and passion with you so that you go away after the 1st session and return to the 2nd session with a one page to present to the group.Julia is an award winning creative producer who has worked for leading BAFTA and Oscar winning producers and filmmakers that include New York's Likely Story working with talent such as Charlie Kaufman and Nicole Holofcener and most recently, working in development for producer James Wilson on projects for filmmakers Jonathan Glazer and Lynne Ramsay including Cannes award winning 'You Were Never Really Here'. 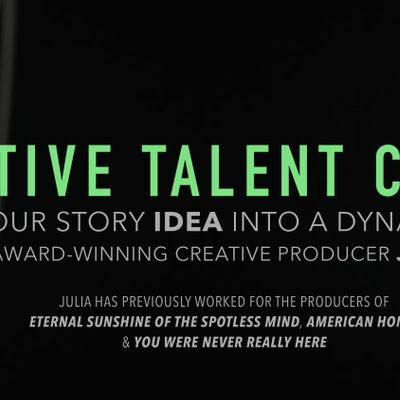 Julia has worked for Maven Pictures (Executive Producers of 'American Honey') and has collaborated with partners such as the BFI, Film4, the BBC and Screen Australia. Currently developing a slate of TV and film projects with leading talent, financiers and producing partners. In 2015, Julia partnered with Shorts on Tap to create a dynamic women run series titled 'Women in Revolt' attracting finance from Film London. Julia is a voting member of the British Independent Film Awards and Women in Film and TV. TOTAL PRICE: The whole campus is 2 dates. Total €115.00 (plus booking fee), which includes Julia reading/prepping for sessions by reading your screenplays/pitches/projects in advance of the start dates as well as in between sessions.